When I posted about the tower of 26 hardcover books I want to focus on from now until the end of the year, there was a bit of a Twitter war about one title. 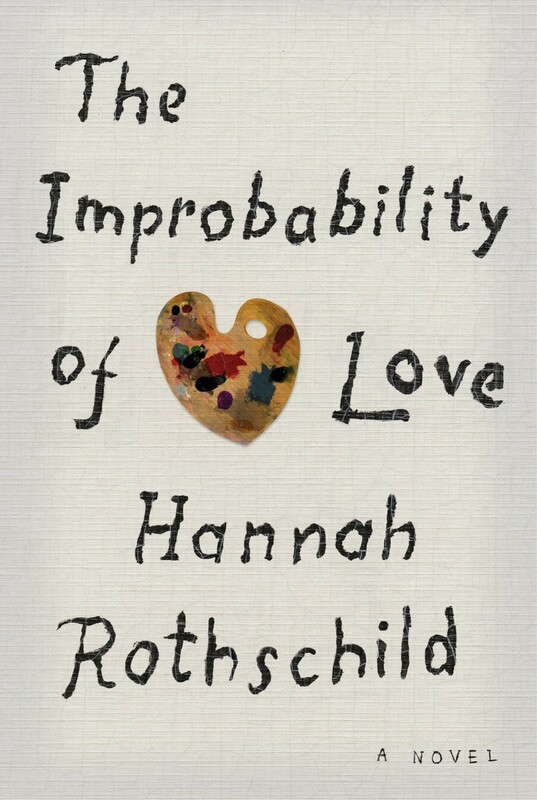 Okay, it was nowhere near a war, but it was a lively discussion about whether The Improbability of Love by Hannah Rothschild was terrible or kind of amusing. Having now plowed through said novel I am ready to pass judgement. I not only didn’t mind the fact that the painting talked, I actually kind of liked his perspective. It’s all way too pat. It’s in the Potato Peel Pie, Marigold Hotel, Maisie Dobbs, Harold Fry, school of plotting. That isn’t necessarily a bad thing, but it isn’t prize-worthy. It seems to have served as an “I know a lot about art history and want to show you” fiction delivery system. I saw one of the mysteries coming a mile away. Worth a read, found it a page turner, but no great shakes. Have you ever compiled a list of your favourite ten books of all time? Agree with all of the above. Though I’d add that one of my biggest gripes is that there were too many characters. I was never lost or confused, but a few characters lines just didn’t go anywhere or came and went so quickly that I didn’t really see the point. Anything that falls into the same bucket as Marigold Hotel, Gurnsey Potato Peel Society is going to be low down on my list of what to read. I fell into the terrible camp, but I can see why people found it enjoyable (I just couldn’t get past the voice of the painting, I didn’t particularly mind that it talked). I’m still BLOWN AWAY that it’s on the Booker list. It isn’t on the Booker list (thank gawd), it was shortlisted for the Baileys Prize (and didn’t win). Your breakdown of it is excellent, though – fun, fluffy, not a serious contender for owt.